U.S. ambassador to Israel says peace plan will come at "appropriate time"
U.S. Ambassador to Israel David Friedman said in a rare statement today that President Trump will release his Israeli-Palestinian peace plan at a time that will allow its best chance for success. Why it matters: Friedman confirmed my story from last week about a high-level meeting Trump held with his White House "peace team" to discuss the contents of the peace plan and the timing for its release. Trump said in late September that he wanted to publish the long-awaited plan between December and February. Friedman wrote in his statement that he had a "very productive meeting" last week in the Oval Office to discuss the peace plan with White House senior adviser Jared Kushner and special envoy Jason Greenblatt that also included Trump, Vice President Mike Pence, Secretary of State Mike Pompeo and National Security Adviser John Bolton. He rejected a report in the Palestinian Al-Quds newspaper which said that Trump decided to postpone to release of the plan until February. Friedman said: "I would like to reaffirm that the United States remains committed to sharing its vision for peace with Israel, the Palestinians and other regional and international stakeholders at the appropriate time." 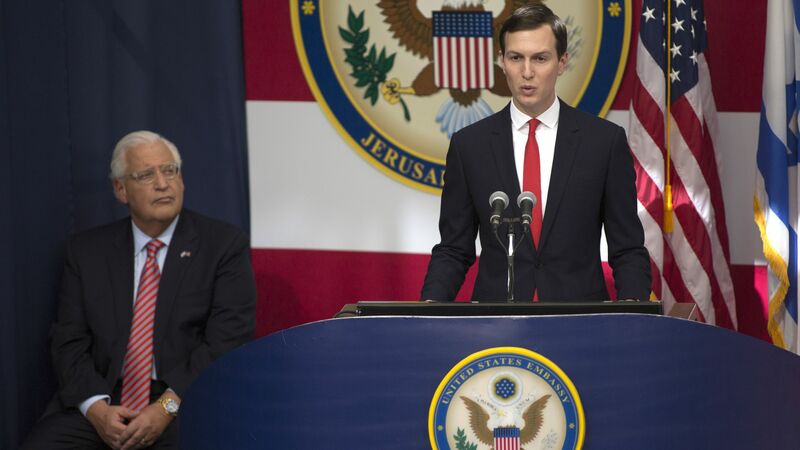 He added that the White House intends to release the peace plan "when the Administration concludes that we have maximized its potential for acceptance, execution and implementation."